Here’s how crazy things have gotten: An emergency call went out recently from the heart of the Jewish Establishment — from the very epicenter of macherdom, the twin citadels of Jewish defense, the Anti-Defamation League and American Jewish Committee themselves, in a rare moment of joint action — for American Jews to unite around Israel and defend its alliance with the United States. And what’s been the response so far? To put it politely: Drop dead. The machers’ summons is called the “National Pledge for Unity on Israel,” and it’s posted on the two organizations’ websites. They declare that with all the “new dangers and challenges” facing Israel in a “fast changing Middle East,” it’s more important than ever for America to “project to the world” that our support for Israel is wall-to-wall and rock solid. Right now, as we enter what’s shaping up as an ugly election season, the Jewish community should take care not to let Israel become a political football. Let’s have “American voices raised together in unshakeable support for our friend and ally.” If you agree, they say, click here, add your name and take the pledge. Ah, you say, but that’s just a handful of voices on the Republican right. Let’s hear from the majority. What does the public say? So where is everybody? Can’t we agree on something as basic as solidarity with Israel? Well, it’s not that simple. The head of one firmly non-partisan group says that his organization is thinking of taking the pledge, but they’re worried about the same thing that bothers the conservative ideologues: The only people likely to make Israel a political issue next fall are Republicans who disagree with Obama. Telling people not to politicize Israel amounts to telling Republicans not to discuss what bothers them about the Democratic candidate. That’s not fair. In fact, as Tobin notes, the press release announcing the pledge quotes ADL chief Abe Foxman openly stating that they’re aiming to avoid the “political attacks” of recent weeks in which “candidates” have “questioned the current administration’s foreign policy approach vis-à-vis Israel.” If that’s not stifling debate, what is? This is where it gets complicated. For most of us, standing together in defense of Israel is second nature, a no-brainer. If we don’t support Israel, who will? At the same time, open, robust debate is the life’s blood of democracy. Where would Jews be without the right to dissent? We all know that the two principles tend to work against each other. We also know that they’ve both been generally ignored for a long time. Some folks never seem to stop criticizing, and other folks never stop trying to shut them up. Still, you used to know who was who. The left did the criticizing and the right did the stifling. These days, you can’t keep track. In this case, for example, it’s the right that’s breaking ranks and insisting on its First Amendment rights, while the hush-hush brigade is standing guard for the left. If that’s not confusing enough, sometimes the dissenters and the stiflers are the same guys. For example, the Commentary website where Tobin is speaking out in defense of robust debate and free speech is filled with attacks on J-Street for its divisive criticisms of Israeli policy. Admittedly, you have to search a bit within the website to get from the dissent to the stifling. Over at Kristol’s Emergency Committee website, the robust-debate and stop-J-Street clicks are inches apart on the same page. Is there any logic at all to these contortions? Until recently, I was certain that the procedural arguments about free speech and unity were all just a cover for plain old team spirit—that everyone simply cheers for their own team and boos the other one. Then Gilad Shalit came home, and now the world’s turned upside-down. Now you have whole brigades of settlers and neoconservatives screaming for the heads of the Likud and the Israel Defense Forces, led by La Pasionaria of the Jewish Right, Jerusalem Post deputy managing editor Caroline Glick, who’s taken to calling Israel’s military and intelligence leaders “defeatist” and “apparently incompetent” and accusing Benjamin Netanyahu — Netanyahu! — of trading in Jewish blood. So here’s what I’m starting to think: What unifies the Jewish right is not love of Israel but fear and loathing of the Arabs, and anything and anyone giving Arabs a moment’s satisfaction — even an Israeli prime minister who has served his fellow Jews before — is craven, foolish and treasonous. 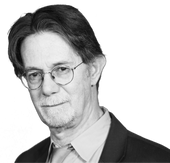 This story "Conservatives Reject Call To Keep Quiet on Israel" was written by J.J. Goldberg.